A New South Wales birth date for Anthony Joseph Doherty has not been found, indicating that he may have been born in Ireland. In 1923 Anthony J Doherty married Catherine B O’Connor at Sydney. He had one son, Father John Doherty, and three daughters. He died at Botany on 10 May 1966 and was buried with Catholic rites. Tony Doherty was associated with several organisations in the City. He was Honorary Secretary of the Irish National Association and organised the St Patrick’s Day Sports on many occasions. He was concerned with providing accommodation for elderly citizens of the district. The Anthony Doherty Community Centre and Recreation Hall in Crown Street, Surry Hills, was named in his honour and officially opened on 19 May 1956. Tony Doherty was Alderman for Flinders Ward, 2 December 1944 to 4 December 1953; for City Ward, 5?December 1953 to 4 December 1959; and for Phillip Ward, 5 December 1959 to 30?November 1962. He was a member of the Finance Committee, 1945-62, the City Planning and Improvements Committee, 1945-62, the Works Committee, 1955-56 and the Health and Recreations Committee, 1955-56. 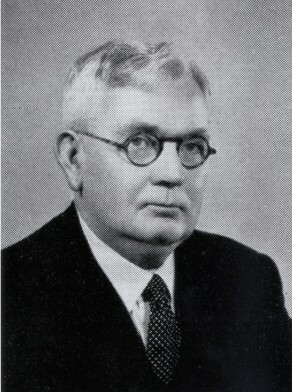 Doherty was Deputy Lord Mayor in 1955. He was also a member of the Board of Health of New South Wales, 1963, the Metropolitan Water Sewerage and Drainage Board, 1961-66 and Council’s representative to the City of Sydney Eisteddfod Council, 1961.